Working cooperatively is a life long skill. 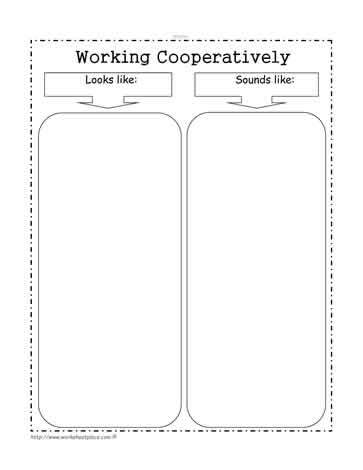 This worksheet helps students determine what working cooperatively looks like and how they can improve their skill. Lifelong skills are great goal setting activities. Goal setting printables and worksheets for working cooperatively are great beginning of term activities for young learners.